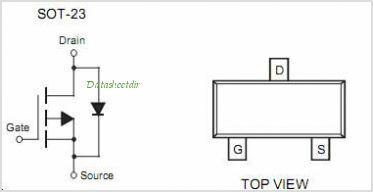 Medium Power MOSFETs DMP2130L P-CHANNEL ENHANCEMENT MODE Field Effect Transistor By Diodes, Inc. This is one package pinout of DMP2130L,If you need more pinouts please download DMP2130L's pdf datasheet. DMP2130L circuits will be updated soon..., now you can download the pdf datasheet to check the circuits!